The conversion of images to PDF can be done in two ways; you can either save all the images in a single PDF document file or can create separate PDF files for saving each image file. Tool can convert various types of images like snapshots, graphic types including file formats like; JPG, PNG, PCX, PSD, BMP, etc. You can select multiple images by pressing CTRL key in one stroke. No compromise is done with the quality of images after conversion to PDF file(s), and hence the resolution and pixels will not be altered after conversion. Software will preserve the original quality of pictures. This software is easy on hands and can be utilized by every type of users; novice or technical. Its easy interface and smart interactive display will help you to follow the process. Before saving the images as a PDF, a complete preview of images chosen for image to pdf conversion will be shown. The images will be shown as embedded in PDF file just like the output you will get after the conversion. 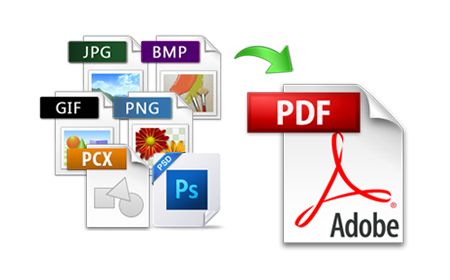 While saving the images as a PDF file, you will get an option to provide the location where to save the converted PDF file. Provide any desired location or make a new folder to save the output. To evaluate the working and performance of the Images to PDF File Converter, you can download the free demo version. This is a trial version of software provided for testing of the tool which helps you to operate full version quite confidently. It has the limitation of only providing preview and not letting you to save the output. To avail benefits of all the features including saving of the converted PDF file with the desired images, you can purchase the full version. This full version is exempted from any limitation and allows you to convert image to PDF. Software is available in three various licenses as; Personal, Business and Enterprise. Can I use this tool in my system having Windows 8.1 Operating System? Yes, there is no binding on the versions of Windows. You can execute this software on any version of Windows. I have numerous images and I want them to save in a single PDF file. Can I do it with your tools? Yes, you can do it using the feature "Save as Single PDF" which will save all images in single PDF file. Will the conversion of images to PDF affect its quality? No. The quality will be preserved even after the conversion of images to PDF file. Is there any file size limitation of images? No, there is no file size limitation. You can convert images of any file size. The Image to PDF conversion software really helped me to get my important images converted to PDF file in my own secured platform. It is very easy to use and has no complicated steps. Thanks for such advance technology! Amazing handled query by experts when I was trying to purchase this software to save my image as PDF file. Technical support you get here is nowhere else provided. I am highly satisfied with tool and service!" I tried many other ways to save images as PDF to secure them, but many programs ended up ruining the quality of images. Finally, one of my colleagues suggested me this this converter where I sound best results. Thanks! I never trusted online products, but Image to PDF converter proved me wrong. It is completely reliable solution and the results are amazing. Software is amazingly fast in performance and within few clicks gets the results.